A personal injury lawyer in Houston TX is available to help you understand the Good Samaritan law and how it protects you from civil lawsuits. 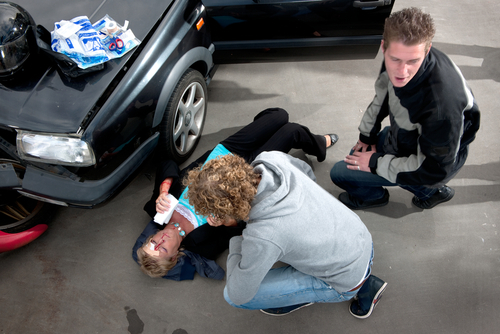 If you are being sued for helping someone at the scene of an accident or in a medical facility in Texas, then the Good Samaritan law is designed to protect you. This law protects you from civil liability for an act performed during an emergency unless you behaved in a wantonly or willfully negligent manner. The legal system will determine if you acted in good faith to assist someone at the scene of a vehicular accident, near drowning or a variety of other circumstances. Did You Act In Good Faith? If you are at a swimming pool and notice that someone is floundering in the water, then you might jump into to help the person. Unfortunately, despite saving the person’s life, he might suffer an injury such as a dislocated shoulder while you are pulling him from the water. The near drowning victim might decide to sue you for the cost of his medical bills and loss of income from a job. However, at Sigmon Law PLLC, we can help defend you in this case because Texas has a Good Samaritan law in place. While a personal injury attorney might represent the near drowning victim, we know that you acted in good faith to save someone’s life and have the experience to protect those who help others. Whom does the Good Samaritan Law protect? The attorneys at our firm in Texas will talk to witnesses who were at the scene of the near drowning incident, and we will also collect medical information from the paramedics or hospital employees. In some cases, a community swimming pool will have a video surveillance system, and it is possible for a judge or jury to watch the video of you saving the individual’s life. Good Samaritan laws will protect rescue workers, health care providers, lifeguards and private individuals from lawsuits that can devastate someone financially. For assistance with Texas’s Good Samaritan law, contact Sigmon Law PLLC today. Let our experience help you.